We had a fabulous winter break in the Nerja apartment. It had everything! We needed and more! Lovely comfy bed and terrific shower. Definitely returning next year. My sister, her daughter and I have just returned from the most fantastic pre winter break in Nerja. Staying at El Chaparil apts ticked every single box for all of us. My sister loves to swim in the sea, just a stones throw away. I enjoyed lots of early morning walks along the sea front and through the cobbled streets of Nerja. 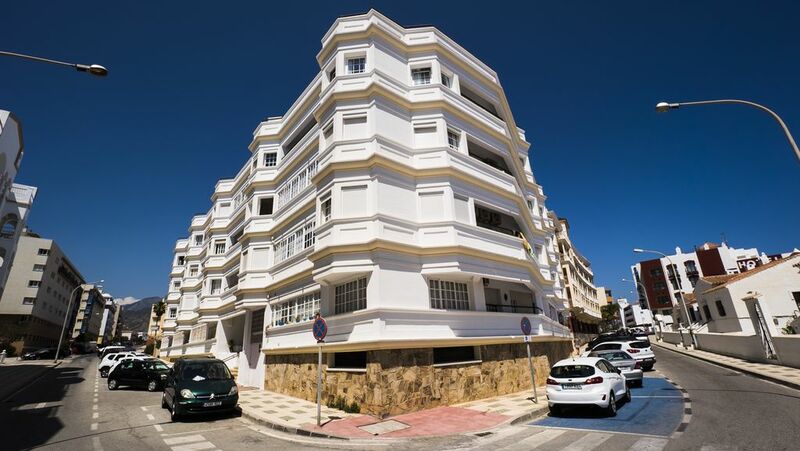 Situated in a quiet location a stroll away from numerous fabulous restaurant and minutes away from the Balcon de Europe. The accommodation itself was a' home from home'......pristine, very well equipt and so spacious. The pool such a decent size and garden area so private. So close to supermarkets/bus depots......already looking forward to our next trip! Perfect spot for a very relaxing holiday! We are a family of four (children aged 14 and 9) and had a perfect 10 days in the sun here. The apartment was spotless, light and airy, and we had a few lazy days sat by the pool, which was beautifully maintained. Despite the fact that we were there in the middle of August, the pool was never busy, and there's a nice mix of holidaymakers and local residents. The beach is a minute away, and there are plenty of restaurants nearby. We enjoyed walking back to the apartment along the beach every evening. Would definitely return! My family and I stayed in Cathy and Alan's lovely appartment for a week. We found it extremely clean, bright, specious, comfortable, modern and with everything we needed for our stay. We enjoyed eating breakfast on the large balcony overlooking a nice view of the mountains. The pool is large and the area is very well kept, we enjoyed many hours sunbathing and swimming during our stay. Nerja itself is very pretty with the beach, restraunts, bars and shops all within a short stroll away. Cathy and Alan were very helpful before during and after our stay. We would definitely return. Thank you. We (my wife, I and our 2 sons of 5 and 8) stayed in the apartment from 12 to the 26th of August and had a great time. Like others said already it is nice to be welcomed by the owners with a nice bottle of Cava and water in the fridge along with a note. The apartment is just great, spacious and everything we could need was at hand. Our kids had a lot of fun in the swimming pool that is big enough and you can just relax quite well on the grass surrounding it. Beaches are just around the corner and the walk to Balcon d'Europe takes 10 to 15 min. We took different routes and then you come across a lot of different and good restaurants, bars and others places that are close to the apartment itself. We all loved Nerja because the town is really easygoing and a great place for a holiday. I would recommend both the apartment and Nerja for a holiday.